Today I’m going veering away from the intellectual and going literal. I love typography! Now imagine it inside a cake or loaf of bread. Whut?? When I saw the recipe for this, it instantaneously made my eyes pop. You can use the recipe with any cake and you can put whatever you want inside. 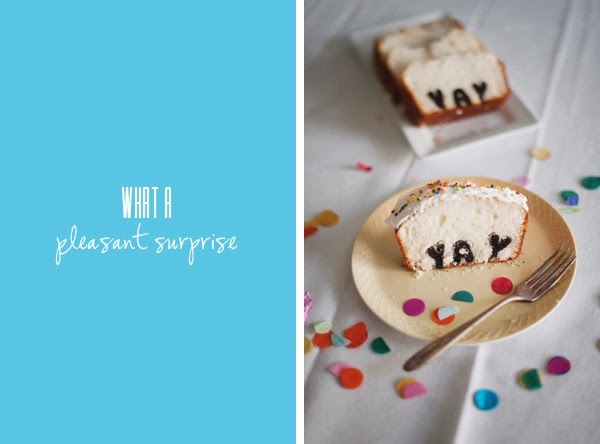 This cake can be used to simply surprise people at an occasion or even better an elaborate prop for an proposal! Ang sweet diba? The Inspire Series is a regular weekly post on Ang Kaladkarin featuring articles, photos, visuals and even videos that bring on inspiration and spark passion. Topics range from business, self, food, design, life and a whole lot more. The series aims to inspire readers to think, feel and create in order to achieve one’s passion or nurture it.